For this one I cut the tree out myself, nothing fancy necessary. 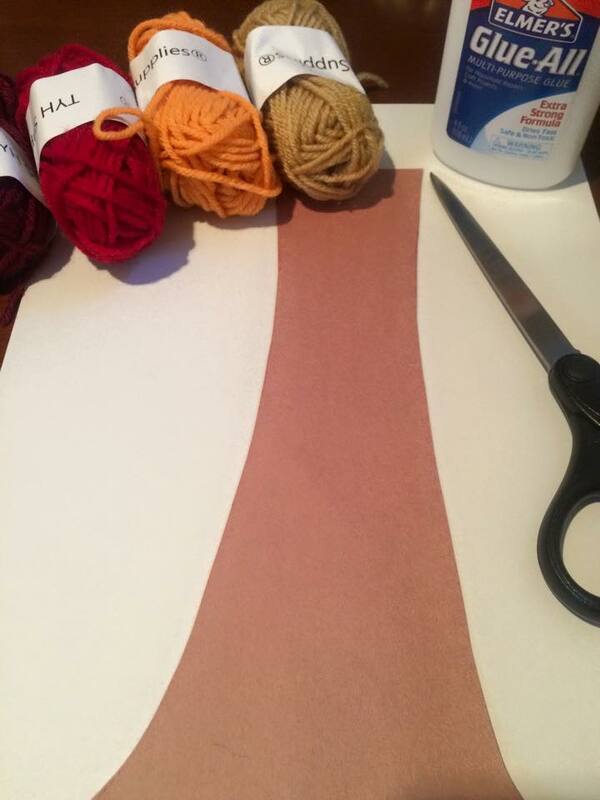 I also cut little pieces of yarn in all the different colors and glued the tree onto the white paper. 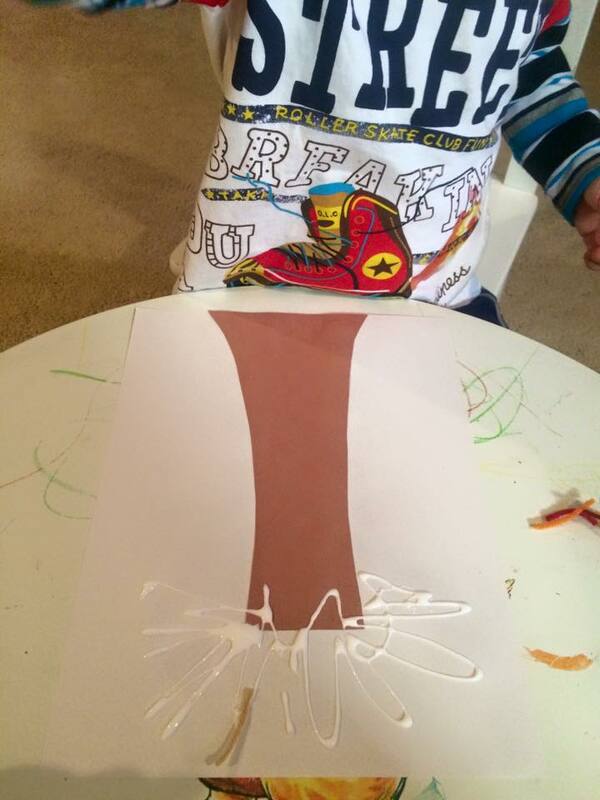 Once every thing was ready I put a bunch of glue on and let him place the “leaves” on the tree. After the top of the tree had plenty of leaves we added glue down the sides to make it look like the leaves were falling. If you like this craft, PIN it! 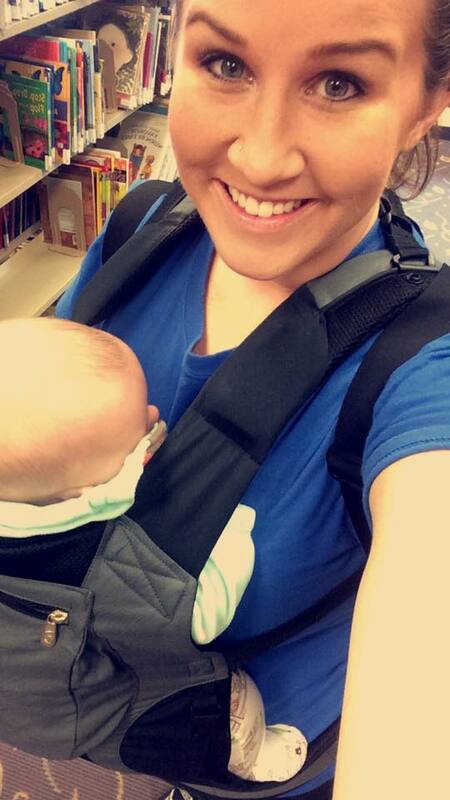 I am obsessed with this Ergo baby carrier! It is so nice to be able to walk around and play with L and carry T hands free! 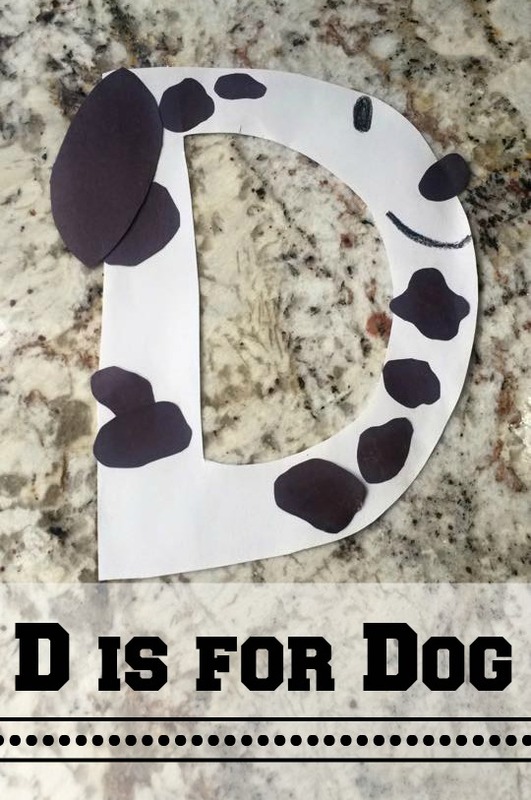 L had been asking to make a dog craft for weeks, so we was ecstatic when we got to the letter D and I told him we would be making a dog! 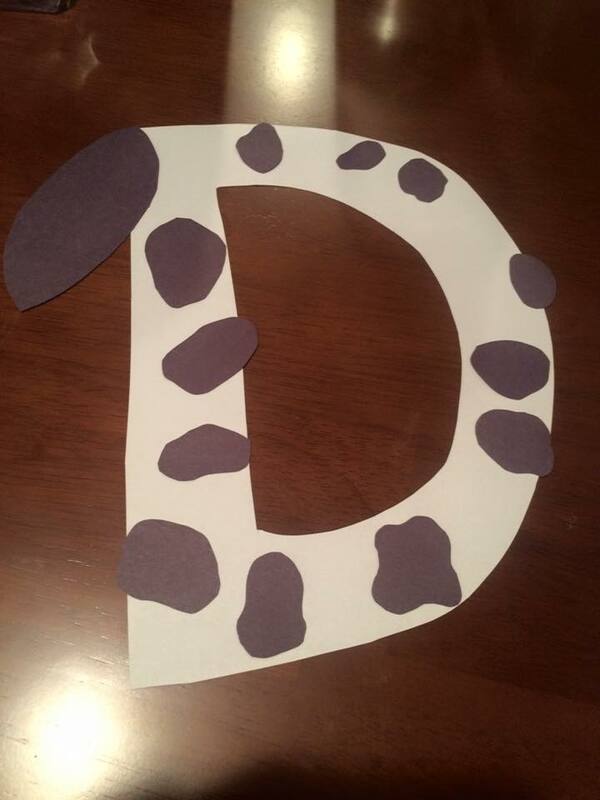 Start by cutting a capital letter D with white paper, then cut out spots, a nose and an ear with the black paper. 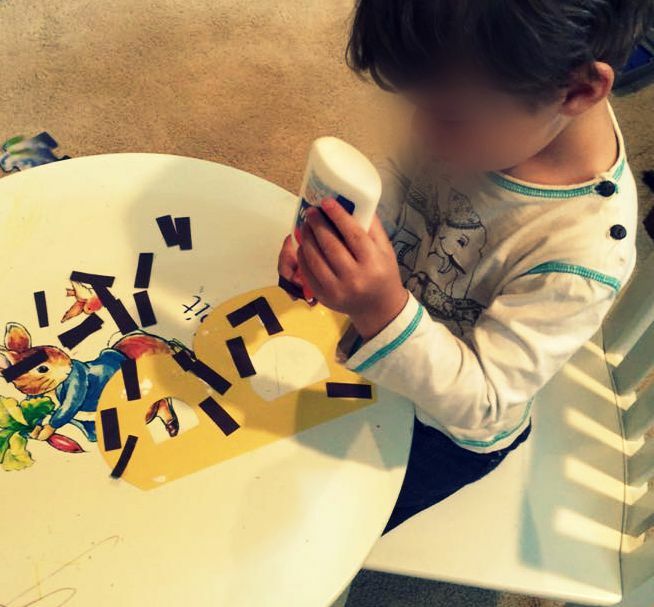 Let the child glue the spots where ever they want then guide them on where the ear and nose might go. When the child is done you can draw a mouth and eye, only one because this is like a side view of the dog. 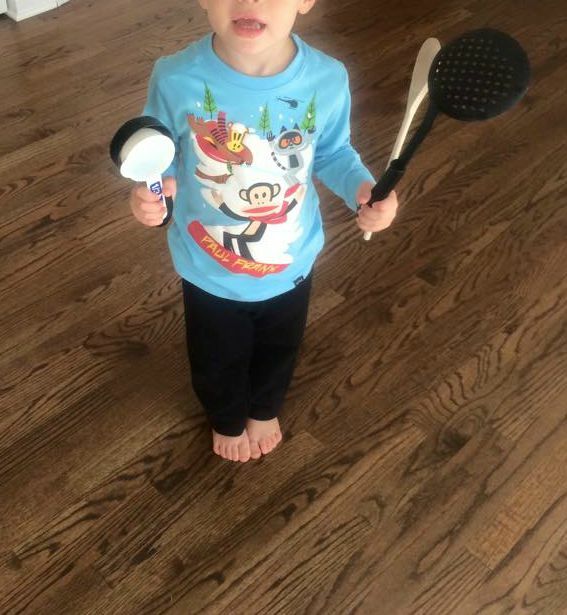 This is the last day of my 7 week Tuesday sensory series, the last several weeks have been filled several fun sensory activities and L has been having a blast trying out new things. 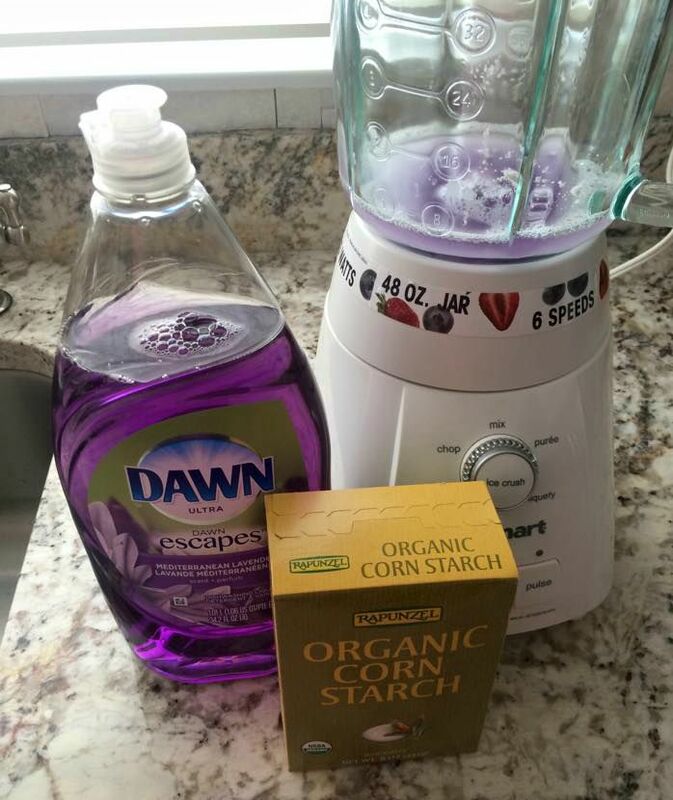 I had seen this sensory activity awhile back and I have been excited for L to try it out. I love decorating, I was so excited when I moved into my apartment and got to buy new things to make it feel like my home. This time of year is great because there are so many things I get to decorate for! First up is fall, I went to Target last week and got a bunch of cute decorations from their $1 and $3 section and also got some little pumpkins and gourds from the farm I visited last week. 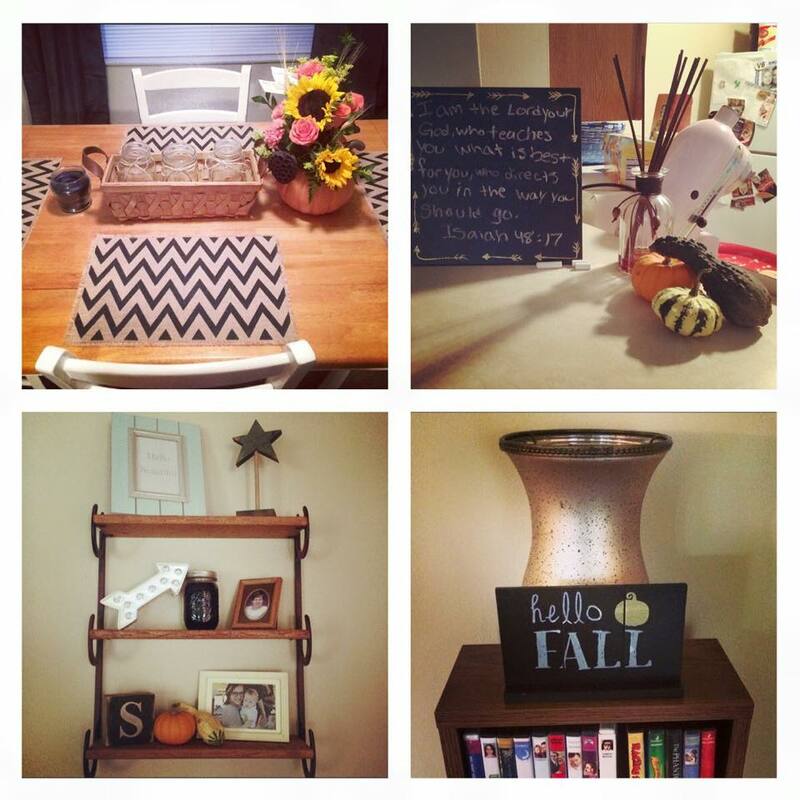 I spent most of my day Saturday cleaning and decorating my apartment for fall. 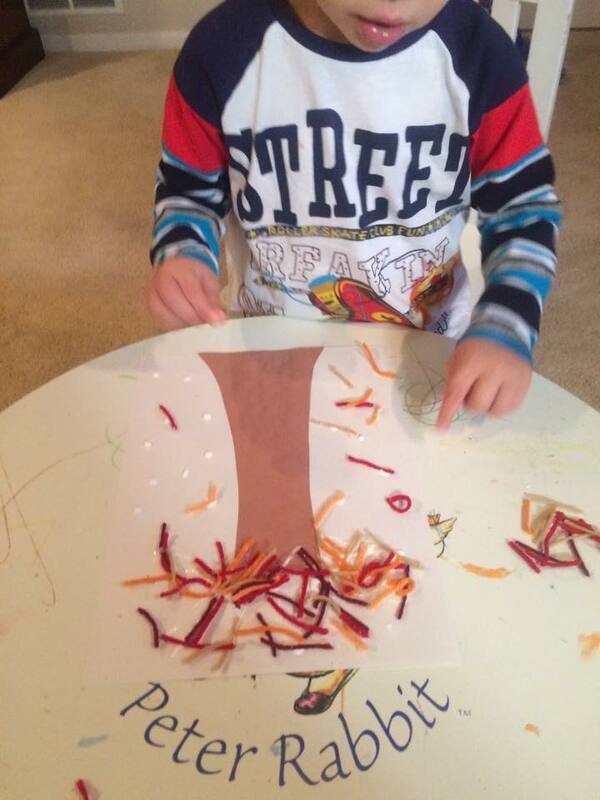 This Caterpillar is easy to make, you just have to cut out the shape of a capital C and some different colored circles. I also cut out antennas and drew a face on the caterpillar to make it look more life like. Cut out a large capital B with yellow paper, a lot of small black rectangles to be used as the bees stripes, 2 antennas (a rectangle with a circle at the top), and the wings. I am so excited for all things fall and Halloween! 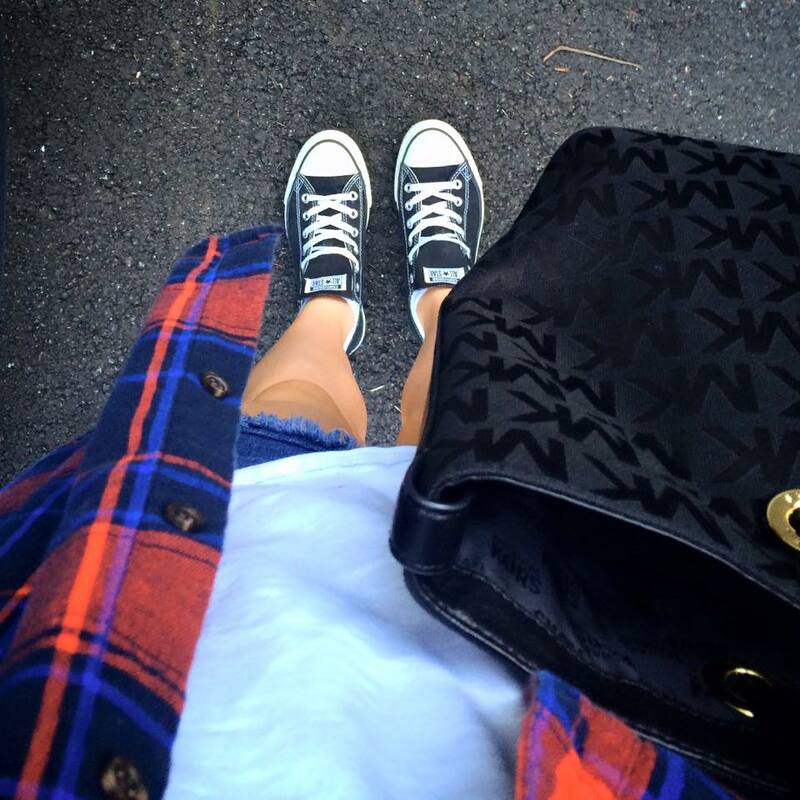 I love fall for the obvious reasons, cooler weather, fall festivals, pumpkin patches, hay rides, pumpkin spice, Halloween, scarves and leggings. This past weekend I went to an event nearby call “farm tours” where you do just that, tour farms, clever name right? 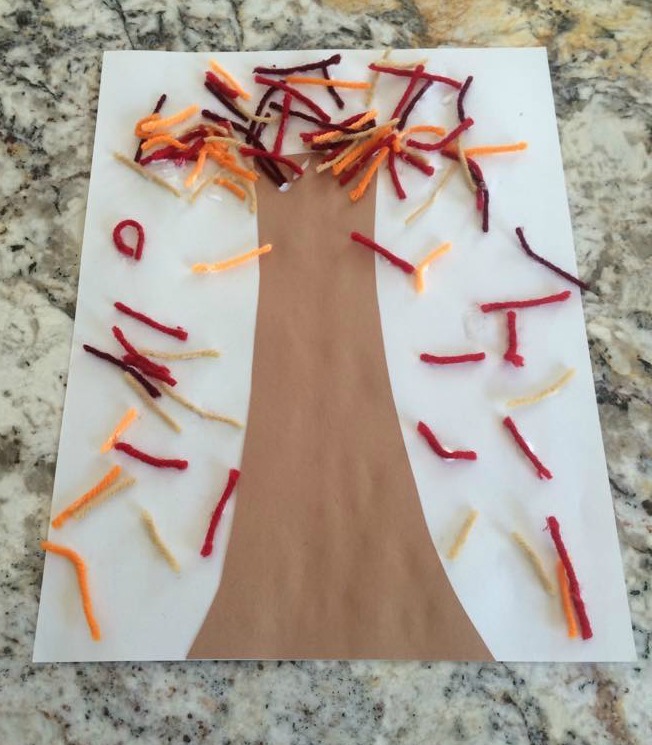 L and I are loving all these fun sensory activities! Today we decided to head outside for some water sensory play, hoping to soak up these last few days of warm weather. Water sensory is so versatile and you can throw just about anything into a bucket of water and your child will be happy. We put in some blocks, measuring cups and spoons. 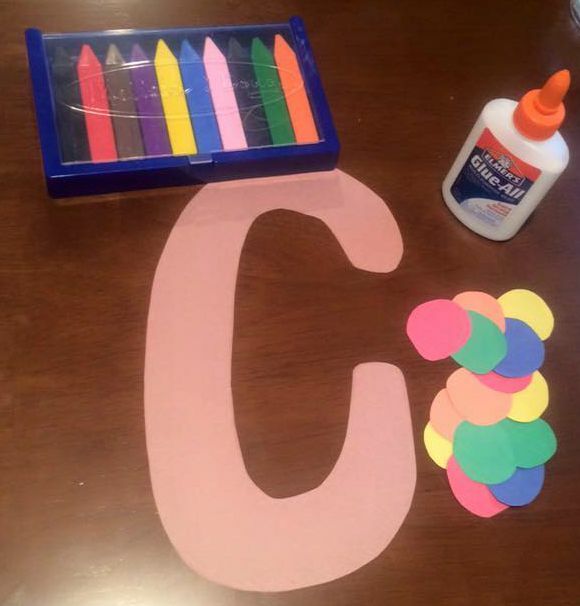 Who doesn’t love these fun alphabet crafts? 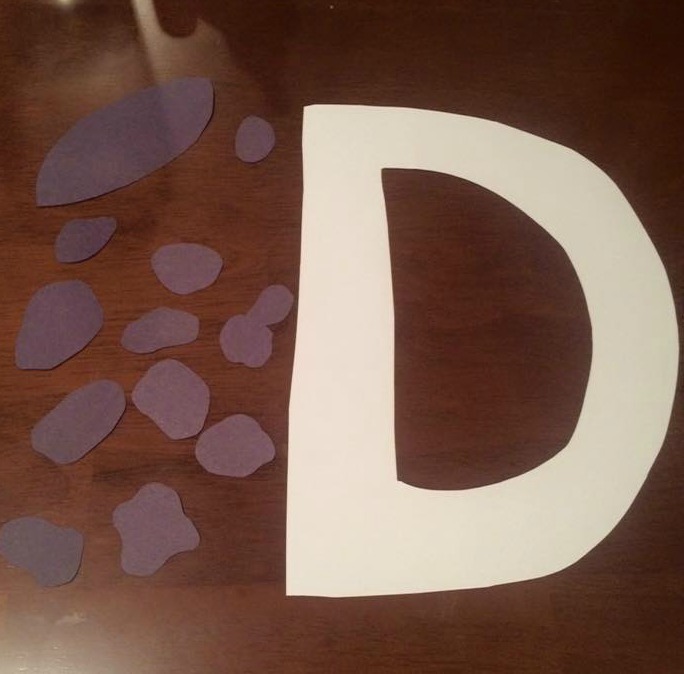 I have been working on a different letter each week with L and he loves making different things with the letter we are learning about. 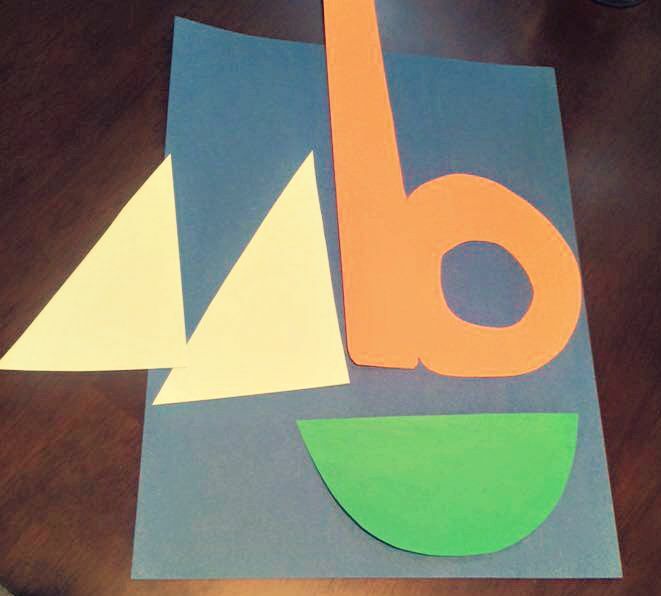 start by cutting out a lower case b with any color you would like, a half circle in another color, and 2 white triangles. 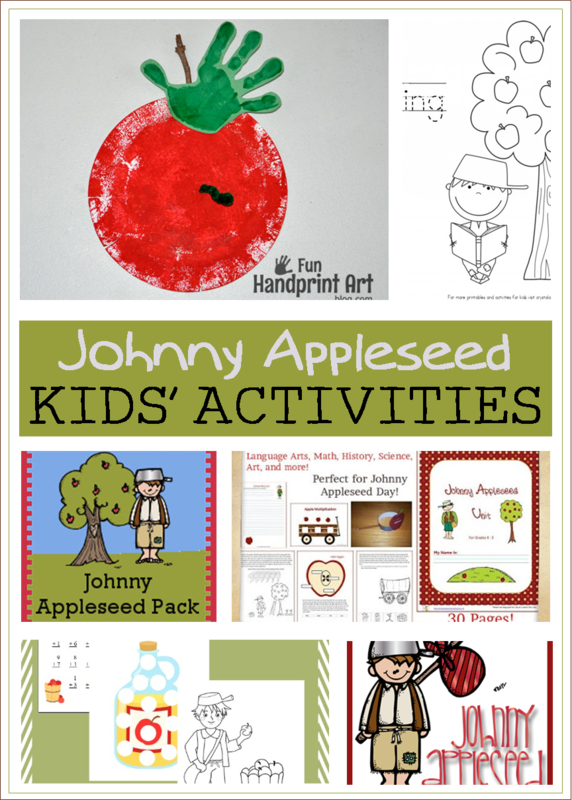 Johnny Appleseed day is coming up on September 26 and seeing that I always love a good theme I thought it would be fun to share some activities you could do with your kids and teach them about Johnny Appleseed.